Yay! 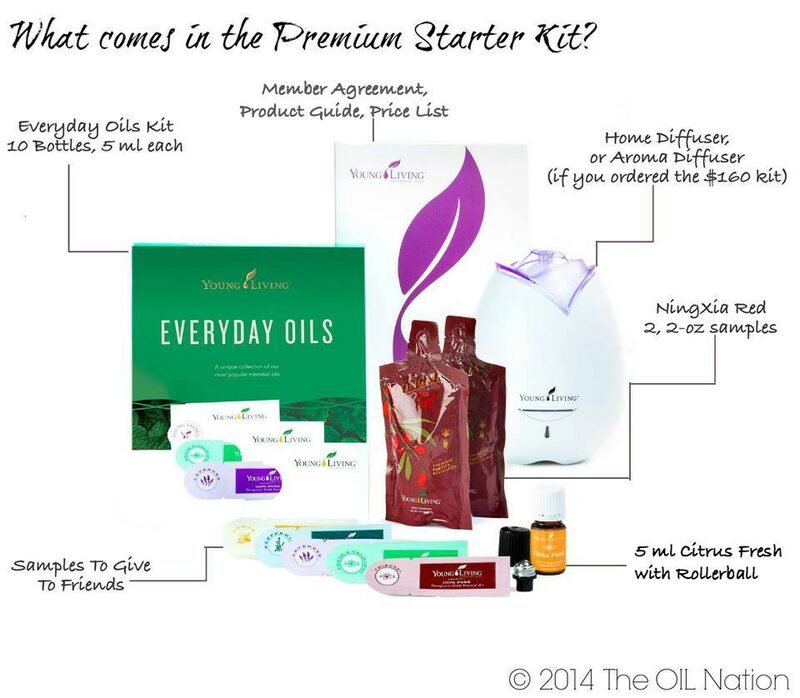 You’re interested in starting your journey with oils! You’ve come to the right place to get started. Let me walk you through what it really means to become a Young Living member and how your adventure is just waiting to happen. 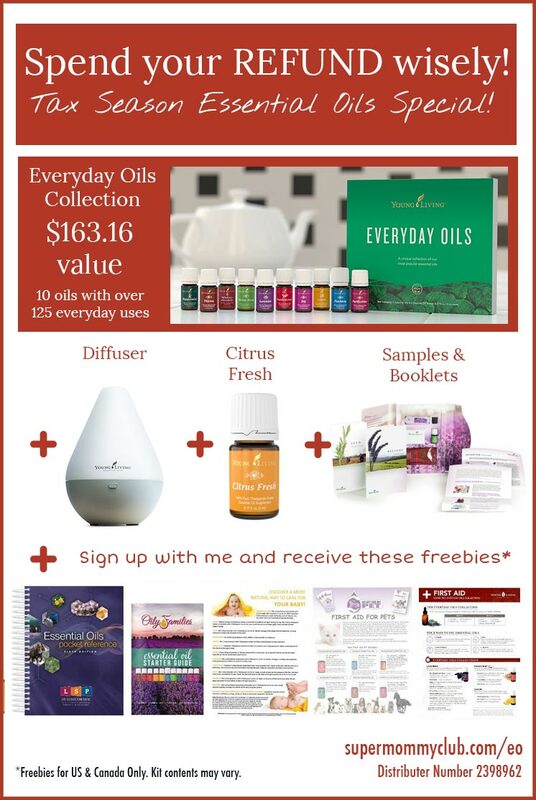 Watch this short video to discover the easiest and most affordable way to get started with oils, or scroll down to read all about it instead. To claim your educational goodies please click here to send us an email quoting your Young Living member number and the code “SUPERMOM”. 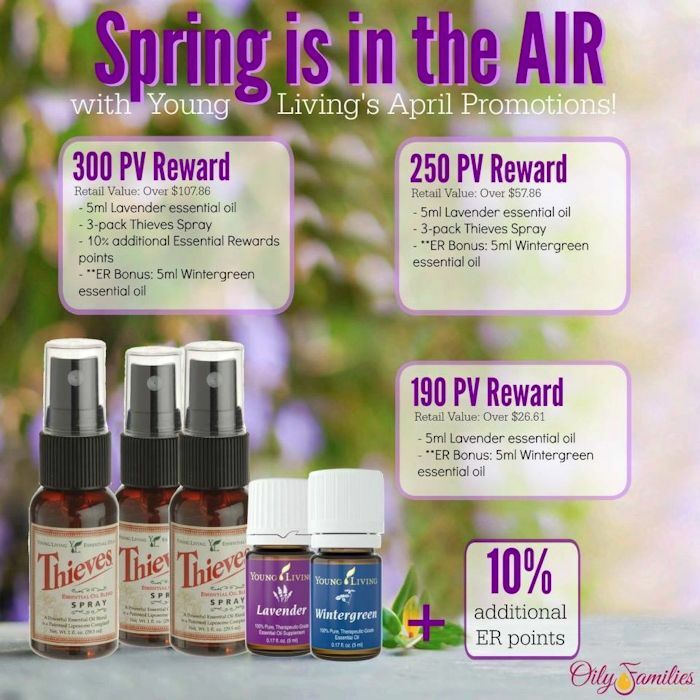 Here’s a peek at April’s promotion for US members. If you order an Essential Rewards kit at the same time as investing in your starter kit you’ll be eligible for this promotion if you spend the right amount of PV.